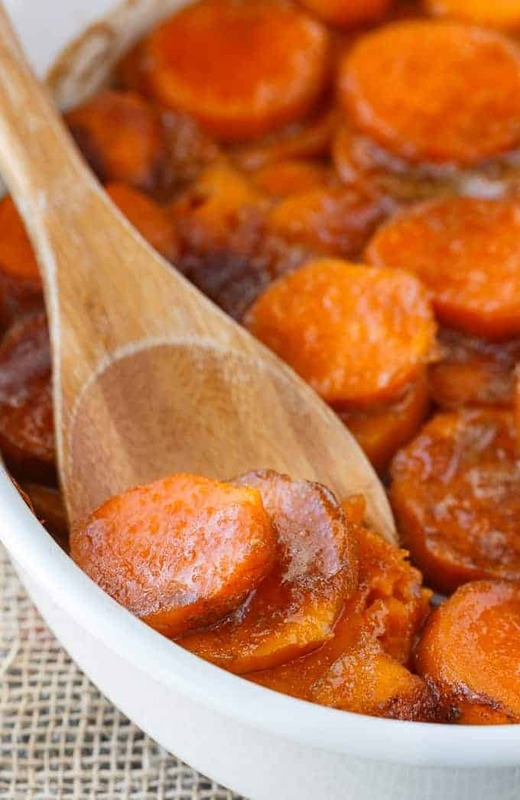 Candied Sweet Potatoes is an easy side dish recipe that tastes like a dessert. Tender sweet potato rounds are covered in a rich, buttery glaze. It’s so decadent! This recipe could easily double as a dessert. I have it labelled as a side dish since that is how I typically serve sweet potatoes. It’s not traditional for a dessert, but, hey, whatever works. It’s like sweet potatoes covered in a butterscotch sauce. I’m not even joking. If you like Sweet Potato Pie, you will like this recipe. 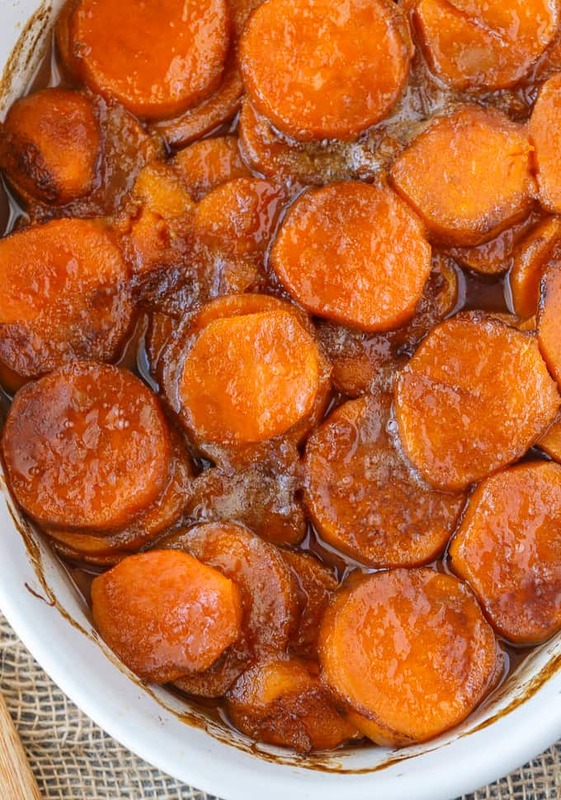 Even my friend who isn’t that fond of sweet potatoes said this recipe was the bomb. She took home a helping in a plastic container because she liked it so much. Is it the healthiest recipe? No….but a little indulgence is ok in my books. My family agrees, too. Side dish or dessert? You decide. Either way, you are in for a real treat. This recipe involves a little prep work. You need to peel and cook 6 sweet potatoes before you start. I boiled mine on the stove until they were fork-tender. Let the potatoes cool before you cut them into 1/2 inch rounds and then arrange in a 3 quart casserole dish. 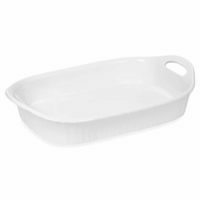 To make that luscious sweet sauce, you need to add butter, sugar, water and salt to a small saucepan and heat to boiling. Then, boil for 5 minutes, stirring often. I recommend you wait to cook the sauce until the potatoes are ready to go into the oven. If you let the sauce cool too much you won’t be able to pour it over the potatoes. Tip: don’t let the sauce cook too long or you will end up with fudge. 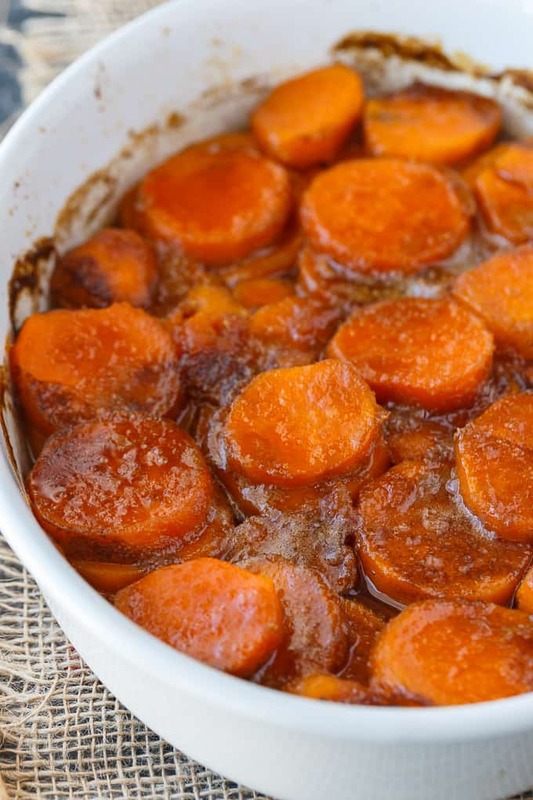 Pour the sauce over the sweet potatoes arranged in the casserole dish. Bake for 45 minutes at 350F, uncovered. Serve hot and enjoy every mouthwatering bite! 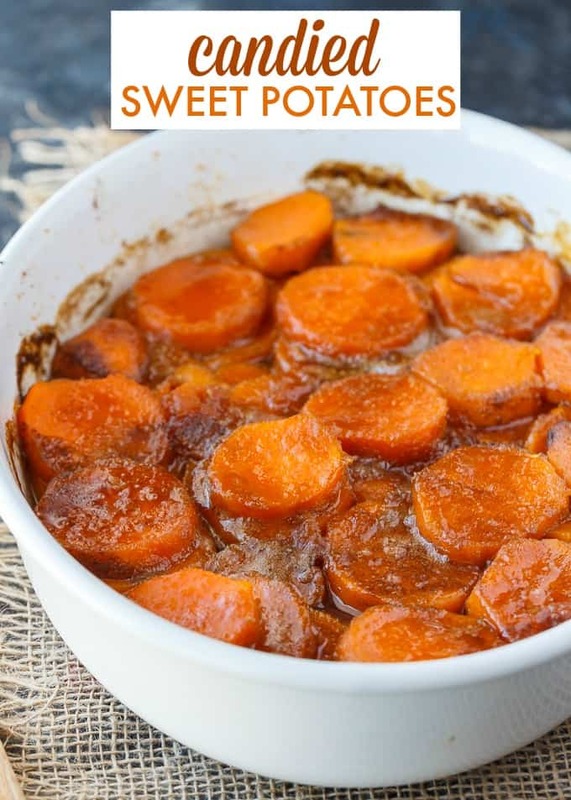 I have a few more sweet potato recipes for you to try if you are a fan! Sweet Potato Pie: Creamy and sweet! Try as an alternative to the more traditional pumpkin pie. 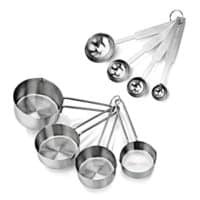 Sweet Potato Casserole: This simple Thanksgiving side dish is dessert-like! The filling is creamy and sweet and the topping adds an extra bit of flavour and crunch. Twice Baked Sweet Potatoes: Creamy and rich made with maple syrup and cream cheese. One of my fave sides! Sweet Potato & Five Spice Muffins: These remind me a little of pumpkin spice muffins! Delish! Sweet Potato Home Fries: A mouthwatering side dish with only three ingredients: sweet potatoes, bacon and green onions! 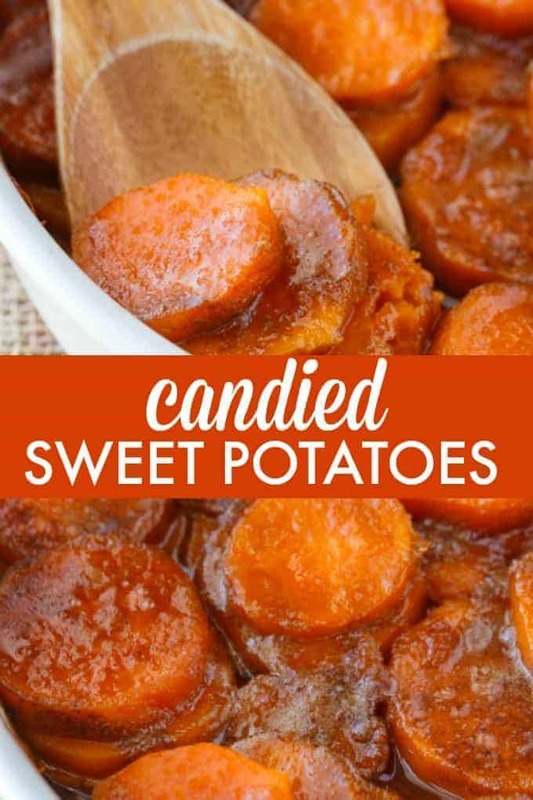 Have you tried Candied Sweet Potatoes before? An easy side dish recipe that tastes like a dessert. Tender sweet potato rounds are covered in a rich, buttery glaze. Cut cooled sweet potatoes into 1/2 inch rounds and arrange in a 3 quart casserole dish. 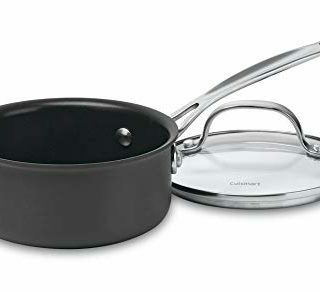 Add butter, sugar, water and salt to a small saucepan and heat to boiling. Boil for 5 minutes, stirring often. 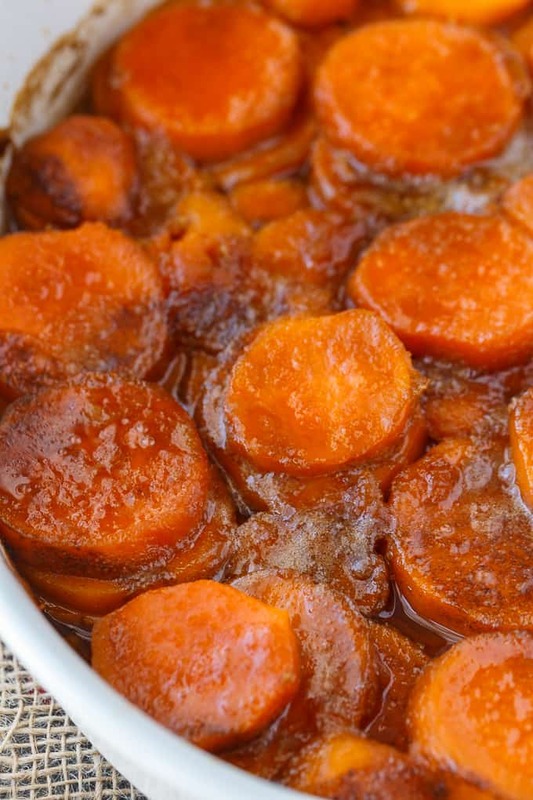 Pour glaze over sweet potatoes. Bake for 45 minutes, uncovered. Serve hot. 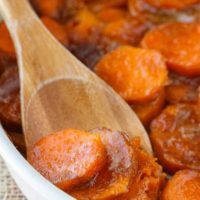 This is so much like my Mom’s recipe, she would bake her sweet potatoes, then in a sauce pan, 1/3 cup of water, 1/2 cup each granulated and brown sugar, bring to a boil, then pour over peeled and cut sweet potatoes. Dot with butter and sprinkle with a bit of cinnamon and bake for about 20-25 mins. @ 400* F. so good.